Cyclists and hikers are exploring a newly opened wildlife refuge at the site of a former nuclear weapons plant in Colorado. The U.S. Fish and Wildlife Service opened the gates of Rocky Flats National Wildlife Refuge Saturday with no fanfare. The refuge is on the perimeter of a government factory that made plutonium triggers for nuclear bombs. A protester in a gas mask brought a sign to the refuge warning about the dangers of plutonium. Other visitors said they were confident the site was safe. The refuge is on a wind-swept plateau 16 miles (26 kilometers) northwest of downtown Denver. It’s a rare oasis of tallgrass prairie, with bears, elk, falcons, songbirds and hundreds of other species. The refuge offers sweeping panoramas of the Rocky Mountain foothills and Denver’s skyscrapers. A unique wildlife refuge on the site of a former nuclear weapons plant in Colorado is opening its gates to the public. 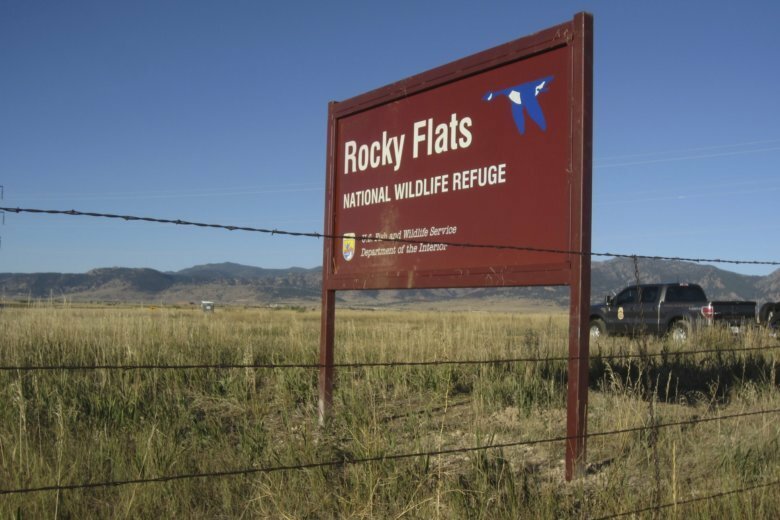 Rocky Flats National Wildlife Refuge is scheduled to open Saturday after a confusing day when officials first said they would not open the refuge and then said they would. The U.S. government made plutonium triggers for nuclear bombs at the site outside Denver. After a $7 billion cleanup, part of the land was turned over to the Interior Department for a refuge. The opening has been in the works for months. But the plans were upended Friday when Interior Secretary Ryan Zinke said he would keep the refuge closed until he could get more information about safety. An hour later, the department said a review was complete and the refuge would open.